The platform will support Android 5.1, Ubuntu, and OpenWRT operating systems, as well as open source software like openHAB for automation or XBMC/Kodi. All pictures above show Allwinner R18 processor, which I’ve never heard of before, but it must be pin-to-pin compatible with Allwinner A64 as some pictures and parts of the promo video show the latter. So I assume Allwinner R18 must be a low cost version of Allwinner A64, similar to what R8 is to A13. 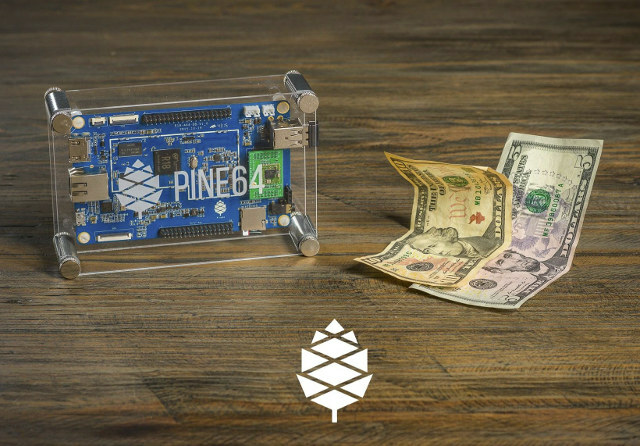 The boards will be launch on Kickstarter on December 9, 2015, with PINE A64 going for $15, and PINE A64+ for $19, excluding shipping and handling. You can find a few more details, and/or sign-up for the launch on pine64.com. Isn’t there close to zero support for Allwinner devices under Kodi, at least from the Kodi devs, because of the lousy attitude of Allwinner to Open Source developers and GPL, and the lack of decent Linux driver support for hardware video acceleration? 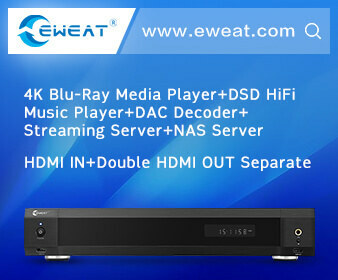 I could just see the XBMC logo on their website. It could just be Kodi support in Android though. I have a 64bit Allwinner Remix mini, which runs Kodi normally. Do you have 1 or 2GB version? I feel even 2GB is quite limited. Having multi tabs in browser eat up a lot of RAM, not to mention other apps you gonna need. I agree with you about the RAM. I emailed them so ask them to include a 2GB RAM in the crowdfunding campaign, so people can choose. The more people ask for it the more possibilities they will a accept it. No surprise there – sunxi are the only people who could help those C.H.I.P guys with their project. They are working on Lithium batteries to power it, touchscreens, minature keyboards, it all sounds good to me. yeah but i hope someday to see Mali-400MP2 die common guys this is almost 2016 w..t…f..
RPI-Zero for $5 was out when it’s announced. Where is C.H.I.P? I ordered one but it’s like one year passed while keep getting their emails but nothing shown still, is it a marketing company? speed matters. I have the 2gb Remix and I do see it filling up p the memory often. There is however a built in memory cleaner. Well for low cost and low power I guess that one is hard to beat. It still does the job, I’d compare it to Intel built-in GPU … just enough for the basics ( desktop and stuff ). As long as there is no benchmarks and further details about the CPU; I will not go it. And more RAM would definitely help. sunxi are the only people who could help those C.H.I.P guys with their project. Orange Pi Plus 3 with 2GB ram and H64 is producing. Interesting offer, unless the S&S goed above 10 USD. Their website says “you can upload the latest version of Linux” … so linux kernel version constraints because of the MALI GPU? @Sander “S&S” should read “S&H” / Shipping & Handling. 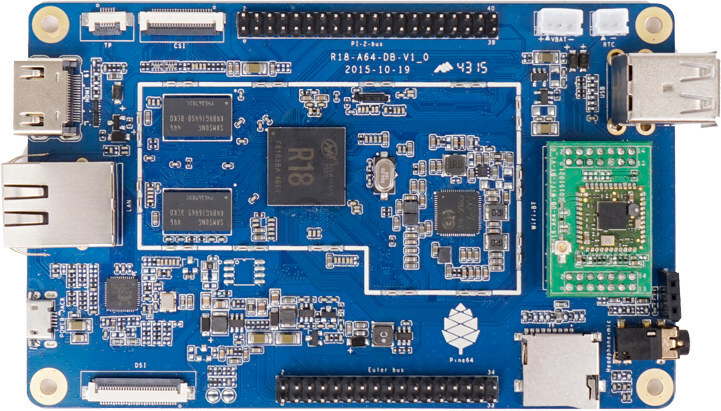 The Orange Pi team just produces boards and more boards, but no proper software, updates, drivers or support. Without these the dev-boards are of very little use. Will it be released or are you skipping it for the orangeplus3 version? Which makes me wonder what one can expect to get for $15, $9, etc. The change I hope for is that people will start to see hardware as what it is – cheap crap, and instead will get ready to pay for (crowdfund) development of software. The starting message there has a nice typo, repeated twice: “friction of the cost”. And as the thread shows, there’s indeed some friction. That Freudian slip shows that those guys are well aware of that situation: they could make price twice that, and it would be still attractive, but they could hire someone to work on software side of things. But nope, they’re not going to to spend a dollar on it, and otherwise chose a SoC for once-off mediaplayers (I have 3 of these, use none, why – should be obvious: crappy software which doesn’t offer any real benefits comparing to sticking flash drive into my TV, but offers disadvantage of requiring another remote). There is a contact form in their webpage, when i emailed them I told them that too (besides de 2GB RAM option), if they want this project to succeed they have to provide a good and (frecuently) uptated Linux OS, proper drivers, updates, fixes, documentation and support. Being this a US startup I bet they are aware of this, also the team they have assembled looks amazing, really experienced people. If a bunch of people like us writting in this thread here are aware of the common flaws of projects like this, I hope they are too, or at least have an open mind and listen to suggestions. if they want this project to succeed they have to provide a good and (frecuently) uptated Linux OS, proper drivers, updates, fixes, documentation and support. Dont be too harsh on them. They spend like $20K on KS video alone! not to mention apple figurehead (oh boy, that will get idiots clicking that ks pledge button), after all those expenses you cant expect them to afford more than TWO dev boards for sunxi developers. Will the Pine64+ with 2GB RAM have enough CPU/GPU/RAM to properly run N64 emulators & games? Neat at $15…Just found a x86 rival with 1.8GHz Quad-core and 2G/4G RAM on Kickstarter: LattePanda. But that one costs $50 more with a full Windows 10 pre-installed. Looks like the show is on. My concern is only, is it a gadget that’s only for computer geeks or can someone that has completely no notion of computer and software work with this. It seems to be a great gadget and I would be tempted to buy it but I have absolutely not one bit of knowledge of computers…. ok I can work with a laptop or desktop but then all the software is pre installed… its’ just plug in and start…but with the Pine64 I’m not so sure about it…..